Seiko Watch Corp. is establishing a new company that will position its Grand Seiko line as a fully independent brand in the United States. The new Grand Seiko Corp. of America has been incorporated in New York and is a wholly owned subsidiary of the Seiko Watch Corp. Akio Naito will serve as its chairman and CEO, and Brice Le Troadec will be its president. Naito is a longtime company veteran, while Le Troadec came to Seiko last year from Omega. The new Grand Seiko Corp. will market that brand through its existing network of retailers, including its Grand Seiko Boutique in Beverly Hills, Calif., and the Seiko boutiques in New York City and Miami. It also has plans for an “increased retail presence,” which means selling more to new and existing retailers. It will also debut new marketing initiatives this year. Founded in 1960 but launched internationally in 2010, the Grand Seiko is the brand’s luxury watch line, with price points ranging from $2,200 to $60,000. According to a Hodinkee report quoting the NPD Group, the Grand Seiko watch has become one of the top-selling brands in the $5,000–$10,000 segment of the U.S. market. 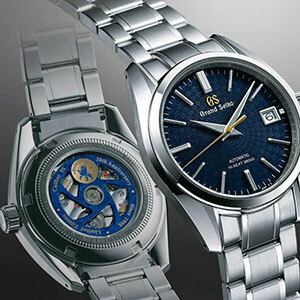 Until now, Seiko Corp. of America has marketed both Grand Seiko and Seiko watches and managed the flagship stores. This new move will divide the company’s operations into two. Grand Seiko Corp. of America will market Grand Seiko and the premium collections of Seiko through the independent retail channel. Seiko Corp. of America will merge into the newly created Seiko Watch of America, which will become a subsidiary of Grand Seiko. Seiko Watch will continue to market the core Seiko collection and be responsible for all logistical and service support to all brands, including Grand Seiko. It will be headed by president and CEO Shibasaki Munehisa.